After her marriage, Lady Frances Wilhelmina Bentinck was styled as Baroness Byron of Rochdale on 19 December 1706. From 19 December 1706, her married name became Byron. [S39] Marquis of Ruvigny and Raineval, The Blood Royal of Britain: Tudor Roll (Baltimore, MD, USA: Genealogical Publishing Company, 1994), page 51. Hereinafter cited as The Blood Royal of Britain: Tudor Roll. [S6] G.E. Cokayne; with Vicary Gibbs, H.A. Doubleday, Geoffrey H. White, Duncan Warrand and Lord Howard de Walden, editors, The Complete Peerage of England, Scotland, Ireland, Great Britain and the United Kingdom, Extant, Extinct or Dormant, new ed., 13 volumes in 14 (1910-1959; reprint in 6 volumes, Gloucester, U.K.: Alan Sutton Publishing, 2000), volume II, page 315. Hereinafter cited as The Complete Peerage. 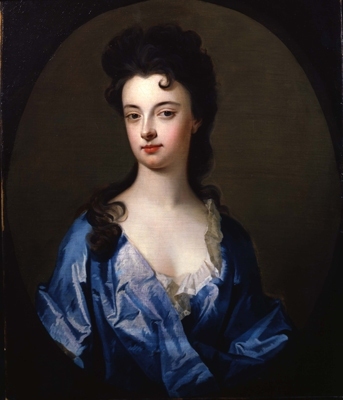 After her marriage, Lady Harriet Bentinck was styled as Viscountess of the City of Limerick on 15 October 1728. From 15 October 1728, her married name became Hamilton. 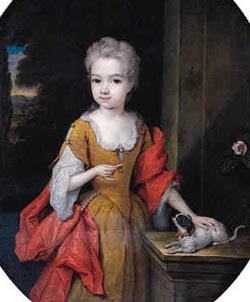 After her marriage, Lady Harriet Bentinck was styled as Countess of Clanbrassill on 24 November 1756. [S6] G.E. Cokayne; with Vicary Gibbs, H.A. Doubleday, Geoffrey H. White, Duncan Warrand and Lord Howard de Walden, editors, The Complete Peerage of England, Scotland, Ireland, Great Britain and the United Kingdom, Extant, Extinct or Dormant, new ed., 13 volumes in 14 (1910-1959; reprint in 6 volumes, Gloucester, U.K.: Alan Sutton Publishing, 2000), volume III, page 212. Hereinafter cited as The Complete Peerage. [S6] Cokayne, and others, The Complete Peerage, volume III, page 213. Her married name became Godolphin. He gained the title of Earl of Mortimer. 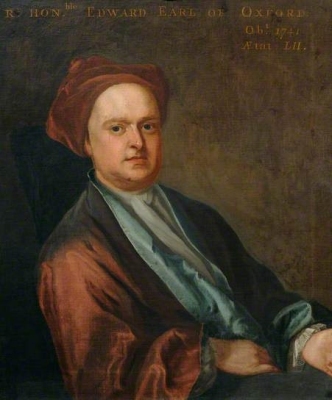 He gained the title of 2nd Earl of Oxford in 1724. [S6] G.E. Cokayne; with Vicary Gibbs, H.A. Doubleday, Geoffrey H. White, Duncan Warrand and Lord Howard de Walden, editors, The Complete Peerage of England, Scotland, Ireland, Great Britain and the United Kingdom, Extant, Extinct or Dormant, new ed., 13 volumes in 14 (1910-1959; reprint in 6 volumes, Gloucester, U.K.: Alan Sutton Publishing, 2000), volume X, page 266. Hereinafter cited as The Complete Peerage. [S6] Cokayne, and others, The Complete Peerage, volume X, page 265. [S6] Cokayne, and others, The Complete Peerage, volume X, page 267. [S6] Cokayne, and others, The Complete Peerage, volume II, page 25. 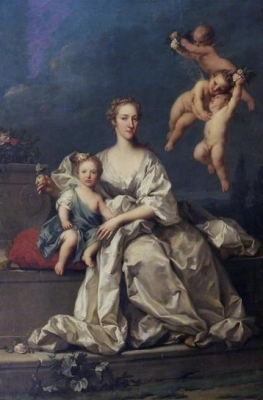 After her marriage, Lady Anne Saville was styled as Baroness Bruce of Whorlton on 29 December 1711. [S6] G.E. Cokayne; with Vicary Gibbs, H.A. Doubleday, Geoffrey H. White, Duncan Warrand and Lord Howard de Walden, editors, The Complete Peerage of England, Scotland, Ireland, Great Britain and the United Kingdom, Extant, Extinct or Dormant, new ed., 13 volumes in 14 (1910-1959; reprint in 6 volumes, Gloucester, U.K.: Alan Sutton Publishing, 2000), volume I, page 61. Hereinafter cited as The Complete Peerage. [S6] Cokayne, and others, The Complete Peerage, volume I, page 62. [S26] Claudia Orange, editor, The Dictionary of New Zealand Biography: Volume Four, 1921-1940 (Wellington, New Zealand: Auckland University Press, 1998), page 99-100. Hereinafter cited as Dictionary of N.Z. Biography: Volume Four.